We’ve been exploring some pretty exciting concepts in the Design Technology workshop this term. 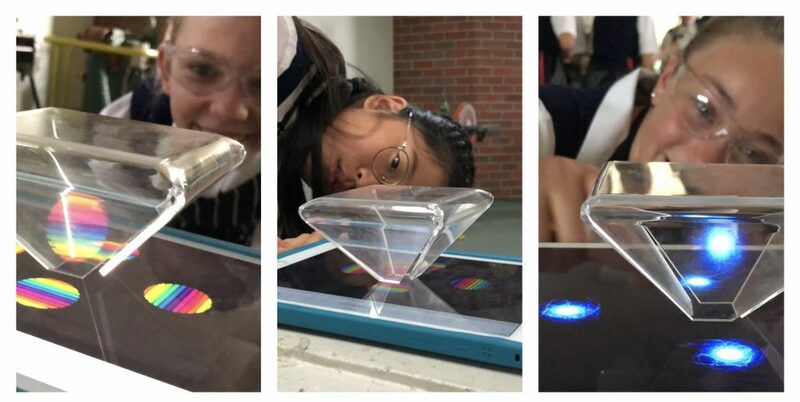 In this project, student were given the challenge of working out how to create a hologram viewer so that they could explore this emerging technology. 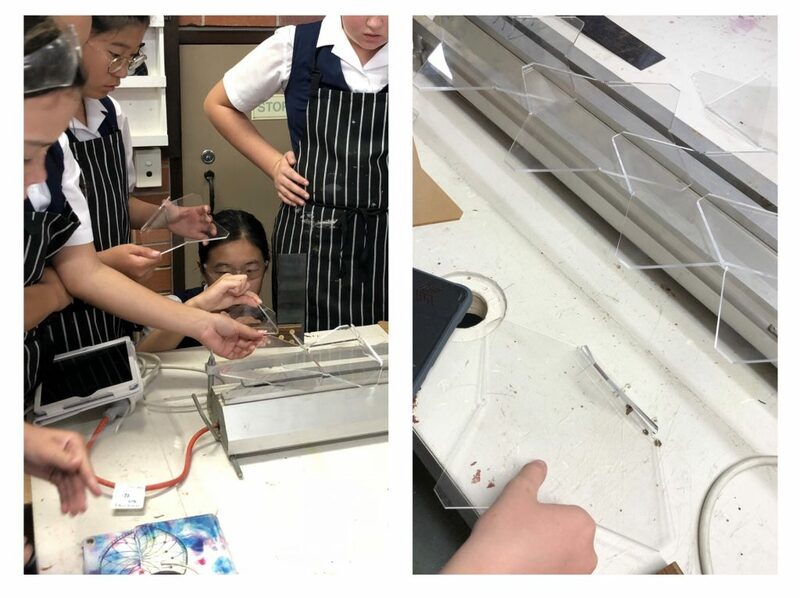 For this group of Year 7 students with just one short period a week in the workshop this term, some parts of the task were more open-ended than others, but the challenge was clear – can you create a perspex/plexiglass hologram viewer that will work with your phone or iPad? Spoiler alert – yes! Students explored the concept of light and projection to work out how a projector might function, and researched some viable models that could be constructed with the tools they had available. 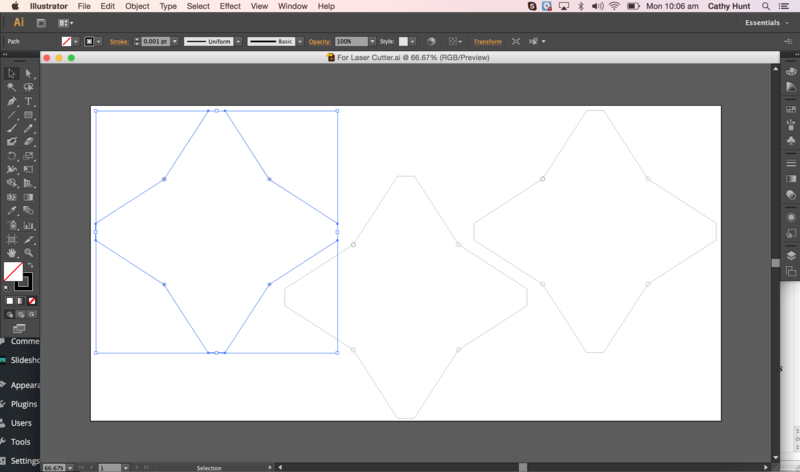 Once they had conceptualised their design they created a file of the ‘net’ in Adobe Illustrator and cut it out on the laser cutter, then bent the sides into place using the strip heater. With the viewers done, we were able to check out some pretty exciting animations online. The students collected up a playlist in YouTube to use as inspiration starters – there are so many available to use as resources. Creating our own animations was the obvious next step. Want more? Check out the process for creating animations for the the hologram viewer here!